My husband! Wow! 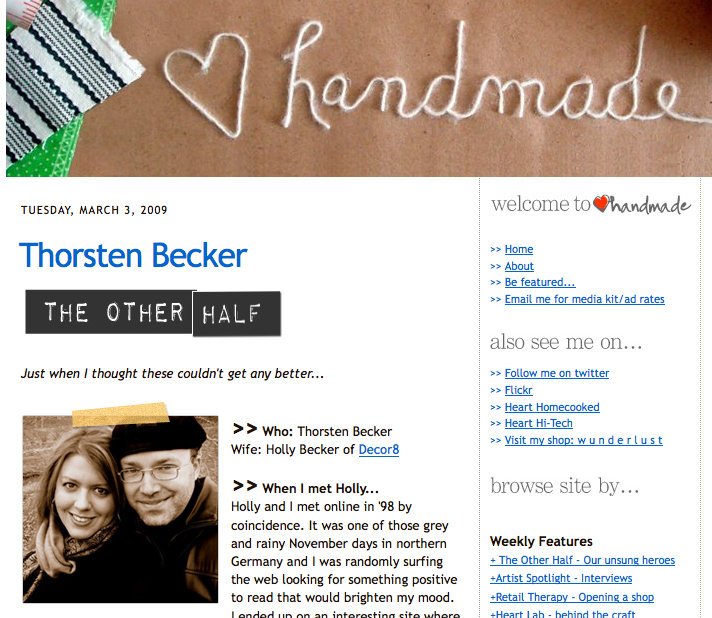 Tee just told me that Marichelle from the Heart Handmade blog interviewed him in her "other half" series, a column she writes to highlight the significant others behind the bloggers out there. I love the column idea and am so pleased to see that Thorsten participated. I really loved reading his answers to some of her questions, like how we met, how he supports me with blogging, 5 random things about him, etc. This is by far the sweetest interview ever, thank you Tee and Marichelle! Wallpaper Border - On the Bottom?